A top Arizona Remax agent has moved over to eXp Realty thanks to one of my business partners in Ottawa. 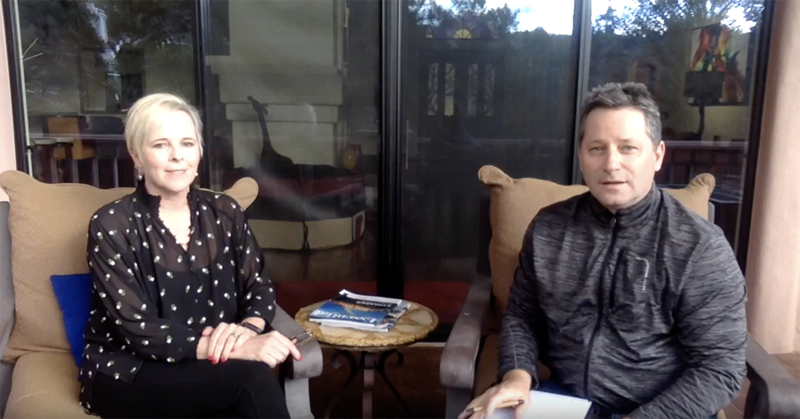 Watch now and find out why she joined eXp Realty as an agent owner. In case you haven't heard, there are some very important discussions presently occurring with regards to our Chinook fishery during 2019 and likely beyond. There are many diverse stocks of Chinook, and while some are doing very well, the early timed 4.2 and 5.2 Chinook from the Fraser River are in serious trouble (these particular Chinook spend 2 years in fresh water before entering the ocean). Two options have been presented by DFO, but neither are well thought out, and both will have a devastating impact on the recreational sportfishing industry ( DFO Chinook Management Approach Letter ). Scenario A basically calls for no retention of Chinook from April 1st until August 1st south of Winter Harbour on the West Coast and Port Hardy on the East coast of Vancouver Island. Scenario B has no increased measures for the West Coast of Vancouver Island, and allows for 1 Chinook per day on the inside from Port Hardy down most of Georgia Strait and Howe Sound, but has a 1 hatchery Chinook only limit in the waters of Area 29 around Vancouver and in the St. of Juan de Fuca. This would be fine except that we only clip about 4 or 5% of our hatchery Chinook and during the time frame between April 1st and August 1st, the vast majority of the Chinook we catch in our local waters are unclipped hatchery Chinook. Therefore, this option is also not acceptable until DFO clips 100% of our hatchery Chinook. Once they begin doing this, we can move to a hatchery Chinook retention only fishery a couple years after they begin clipping (it will take that long for the fish to grow to legal size). The science shows (Creel Survey, Avid Angler DNA data, and other sources from within DFO) that the recreational fishery DOES NOT CATCH these stocks of concern. They make up less than one half of a percentage of the saltwater recreational catch. Therefore, curtailing the recreational catch WILL NOT HELP THESE STOCKS IN THE LEAST. The only thing that is going to help these stocks increase is to use hatcheries to help augment these stocks while at the same time they also need to invest in habitat restoration projects so that the returning adults in the future have somewhere to spawn and where their young can rear safely. On the subject of young rearing safely, we also need to bring back the natural ecosystem at the mouth of the Fraser River which ALWAYS HAD THE HUMAN HARVESTING OF SEALS until the 1970's when a law banning their hunting came into effect. This is not natural for this ecosystem (the BC Coast in general). You must remember that this ecosystem is only a few thousand years old. It was only created at the end of the last ice age. At this time, rivers first formed and salmon runs evolved. At the same time the first humans crossed the Bering Sea land bridge into North America and migrated down into this area. Their villages were located on the salmon bearing streams where they harvested salmon in addition to the seals and other mammals they always hunted. Of course they would have kept seal numbers well in check anywhere near their villages. The "green" organizations like the Suzuki Foundation do not look at the bigger picture when they say we shouldn't harvest seals to help the salmon. Yes, we went a bit overboard prior to the 70's with a general cull and bounty on seals, but they don't see that the law of the 70's that completely stopped the harvest is what threw nature out of balance. Any regulations put in place on the recreational anglers will not help restore these early timed Chinook as we are not impacting their numbers in any significant way. We need to reduce predation so as to allow the young to survive to adulthood or else anything else we do will be for naught. The science studying seal predation on salmon smolts definitively shows that there are seals that are salmon smolt eating specialists, and that they specifically target larger smolts rather than smaller ones (bigger meal for the effort). Since the 4.2 and 5.2 Chinook have spent an extra year in the river growing before they migrate out to sea, they are far larger than their 1 year old cousins from the S. Thompson system for example. The S. Thompson Chinook are generally doing very well (runs are far larger now than they were a few decades ago), while the larger 4.2 and 5.2 Chinook smolts are getting devastated by seals as they enter the sea, and their runs are collapsing. Note, this will also be a reason why Steelhead are not doing well on many rivers. They also have very large smolts. We need to allow a traditional harvest of these river and estuary seals as the the Pacific Balance Pinniped Society is pushing for. Those who voice concerns that harvesting the seals will have a negative impact on the Transient Orcas who feed on them also need not worry since the river mouth and "in river" seals are not targeted by them anyway. The Transient Orca typically cruise the Strait and attached inlets picking off seals that live out away from the river mouths. Anyone who wishes to fish for Chinook this summer needs to take some time and write a letter outlining your concerns. Daniel Coyle, New York Times bestselling author of The Talent Code, visits the RSA after going inside some of the most effective organisations in the world. He not only explains what makes such groups tick, but also identifies the key factors that can generate team cohesion in any walk of life. He examines the verbal and physical cues that bring people together, and determines specific strategies that encourage collaboration and build trust. And he offers cautionary tales of toxic cultures and advises how to reform them, above all demonstrating the extraordinary achievements that result when we know how to cooperate effectively.